fruit a try. When my Nesco Dehydrator arrived I was ready to start dehydrating. 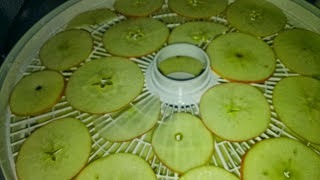 Dehydrating Apples is so easy. Then dehydrate for 12 hours. Once they are dehydrated I place the apples in a zip lock baggie to keep them fresh. Tasty snacks! I have been taking my dried apples to work and my fellow employees love them! Even my kids and grand-kids are placing orders for dried apples. My daughter picked me a peck of apples at a local orchard so that I would stock her up on dried apples. She really likes to put a bag of dried apples in the kids school lunch. The kids enjoy eating the dried fruit as a fun change at lunch time. I like the fact that the dried apples are a easy snack for me to grab when I am hungry. Watching my weight is very difficult for me - so whenever I can find a fast and effective appetite cure ... I am super excited. I also use the apples to make my delicious crock pot oatmeal. My kids love beef jerky. With the dehydrator came jerky seasoning and a very nice cookbook for dehydrating many different products. 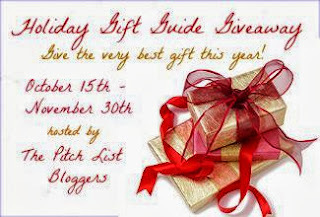 Hubby and I are decided that homemade jerky would be a fun holiday gift for family and friends. Definitely not a plate of cookies!! 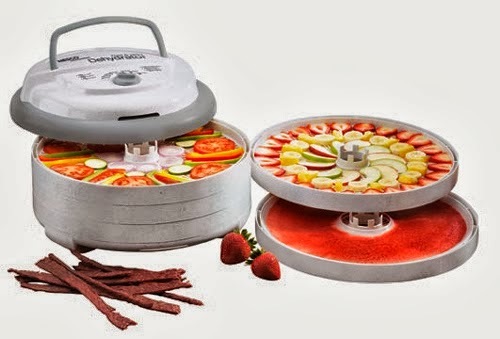 We also think that the dehydrator it's self will make a great holiday gift. In fact we are purchasing one for our son and our daughter. Dehydrating fruit is a fun family activity. Great way to encourage healthy eating habits by making their own snacks. I recently purchased 6 more trays for our dehydrator. The PR75 can hold 12 trays ... when my additional trays arrive I will have 11 trays. I will be able to dry twice as much fruit in the same time. Excellent energy saver by adding additional trays. 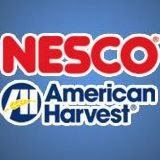 Easy ordering on the NESCO product page. Make sure to stop back to enter the NESCO Dehydrator Giveaway that is part of the Holiday Gift Guide Giveaway starting on October 15th! WIN YOUR OWN NESCO DEHYDRATOR!